A trio of surfing life-saving buddies have teamed up to take on a fundraising challenge in memory of one member who sadly died. One of the team is Jess Frere-Smith, whose dad Adam, known fondly as Papa A, passed away in November. 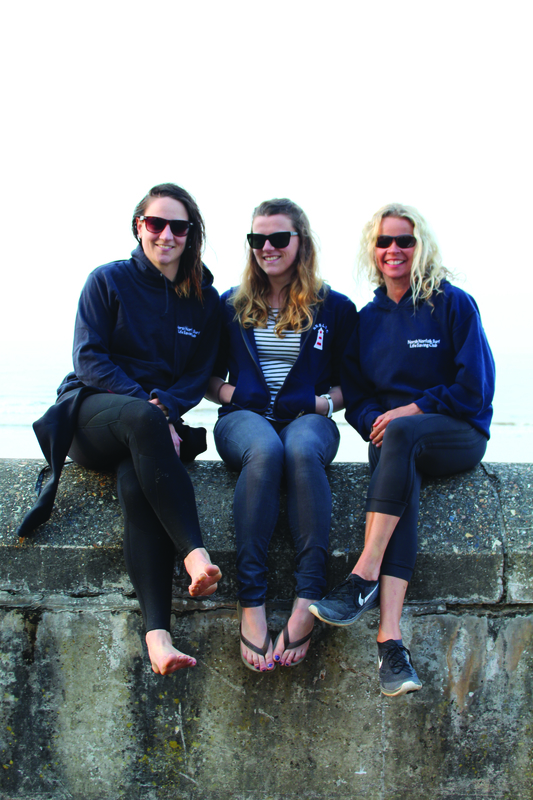 She will be joined by Juli Kett-Brodie and Jo Thompson to complete the Half Ironman at Holkham on July 3 to raise money for the North Norfolk Surf Lifesaving Club . “My dad was a massive part of the club for years and we want to do this in his memory,” said Jess. She said Jo had been the first to sign up for the challenge and mentioned it to the other two. All money raised will go straight into the club to buy kit and keep it running. Jess has been with the Cromer-based club for about eight years. “My dad used to bring me and my brothers down when it first started up and was little more than a few people and a few boards. Jess and her family held a memorial at the clubhouse and beach for Adam on May 28, an emotional time for those who attended. The day included a paddle out into the sea to scatter his ashes and the unveiling of a memorial plaque and chair. The girls would welcome any support in sponsorship and all the details can be found on their Just Giving page. This entry was posted in Cromer, Home Page and tagged Charity, Cromer, cromer pier, life-saving, north Norfolk, surfing on June 9, 2016 by Gay Webster.